“Ohhh, wowwwww! Look at thatttt!” came out of my mouth no fewer than 10 times per day on our recent trip to the Charente-Maritime department of France. Our long weekend kicked off in La Rochelle, a coastal city about 470 km from Paris whose history is just as impressive as its modern-day approach to life. 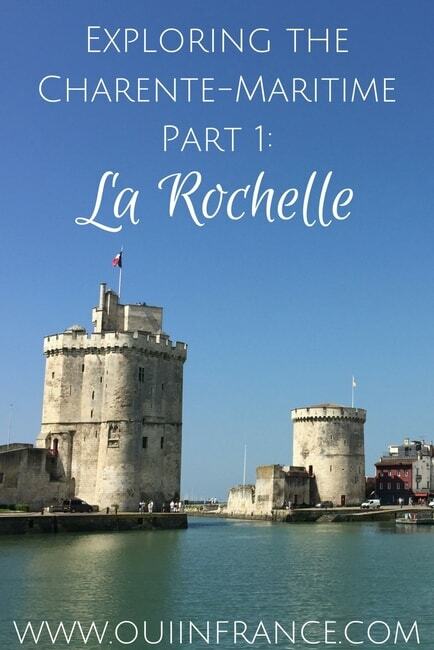 Come along as I show you why La Rochelle deserves to be on your must-see list of places to visit in France! 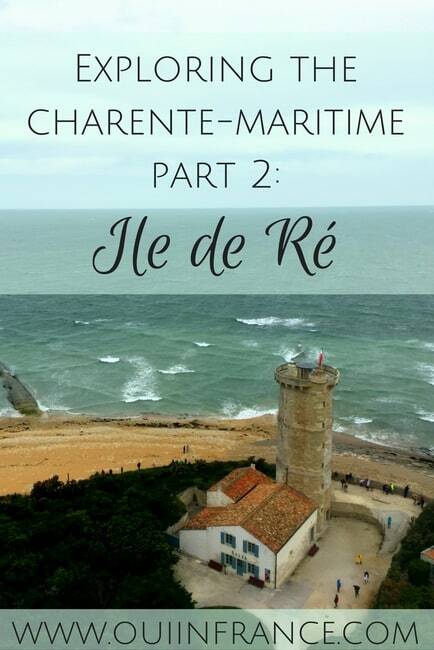 This is Part 1 of a series where I’ll be telling you more about our trip to the Charente-Maritime. Stay tuned for more on the Ile de Ré, the Marais poitevin, Rochefort, and more! One of the things I love most about where I live is how well situated I am for travel within France. 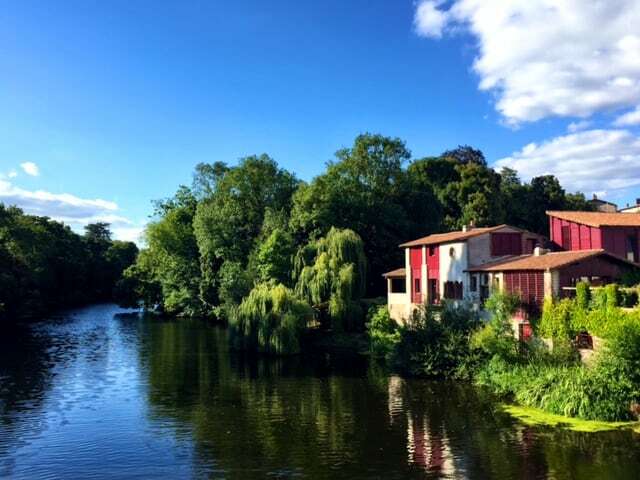 The Maine-et-Loire has a lot going for it in its own right and is a destination worthy of your time for sure, but when you’re looking to travel to other regions, it doesn’t get better than this. 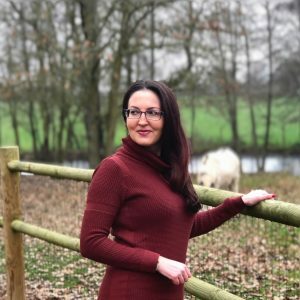 I’m not far from Brittany, just an easy train ride to Paris, a 45-minute drive to Nantes Airport, and about a 1-1/2-hour drive to the Atlantic Coast. The Atlantic Coast is the best part of the Charente-Maritime department and its biggest draw is La Rochelle. 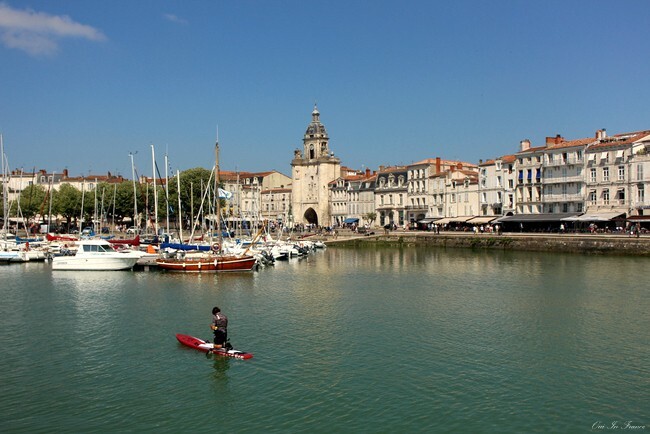 The lively town was our home base for travel within the department, and if you’ve never been to La Rochelle, it’s an incredibly diverse city that’s home to about 80,000 people and located on the Bay of Biscay. The city is home to 4 harbors and Le Port de Plaisance des Minimes is the largest port for recreational boats on the entire French Atlantic Coast! Those who live in La Rochelle are said to appreciate the coastal town’s “uniquely gentle lifestyle,” and after spending a couple of days there, I could see why. 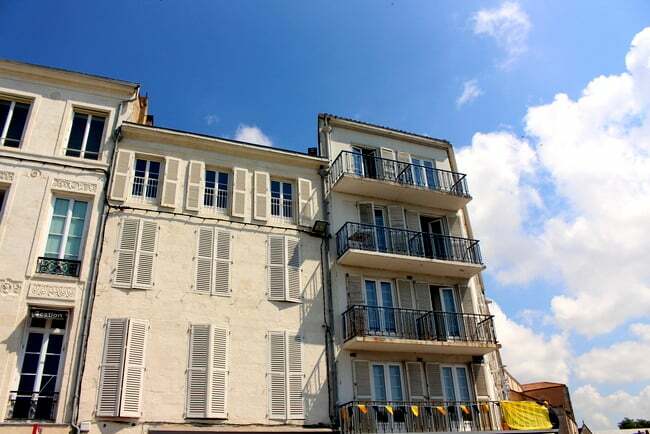 With a rich history dating back to the year 1000, La Rochelle mixes old and new while focusing on sustainable living. 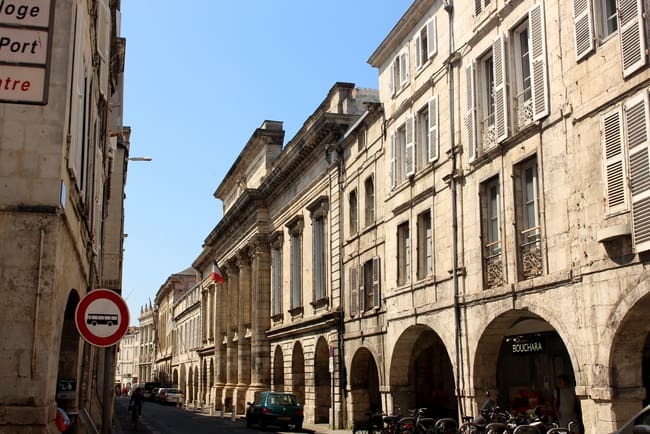 Upon arriving in La Rochelle, you’ll immediately notice the historical architecture including the light-colored stone archways, which are called arcades in French. Originally designed to protect goods from inclement weather in La Rochelle’s trading heyday, the archways now are one of the town’s most charming features. One of the best ways to enjoy les arcades on a sunny day is to spend the afternoon shopping under the protection of the shady arches. 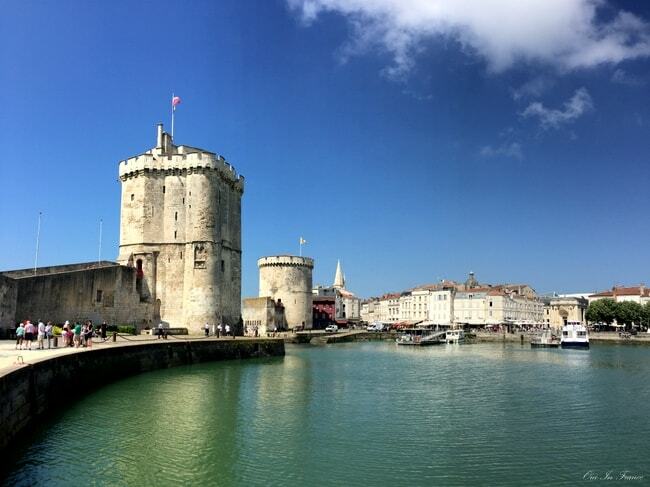 Another must-see stop on your visit to La Rochelle is the fortified Old Port, or Le Vieux Port. It’s been in its current location since the 13th century and is set off by two stone towers that command your attention. Tour de Saint-Nicolas is the taller of the two and Tour de la Chaine is the other. 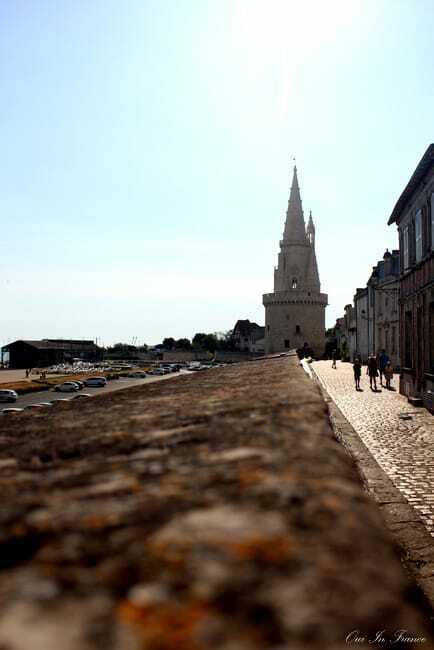 The town was destroyed in the Grand Siege from 1627-28 but the two towers survived. Shop, eat, drink, and be merry while taking in the sights — maybe with an ice cream cone from Ernest le glacier (Tom recommends the canelé flavor). You can also head to the beach if you’d rather relax in the sun. The Concurrence Beach is in easy walking distance from the center and offers 150 meters of sand along a picturesque promenade. 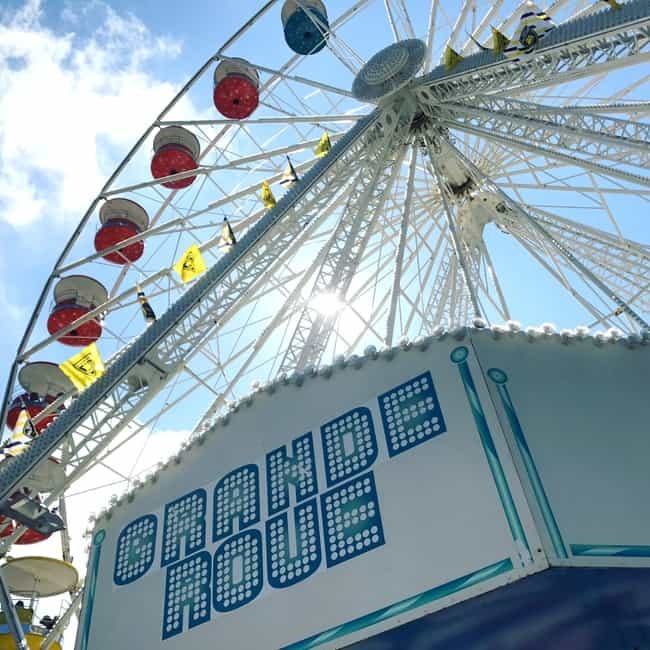 To get a view of Le Vieux Port from above and snap a few photos, hop on La Grande Roue like we did. It’s 5 euros/person. If you want to learn even more about La Rochelle, stop by the tourism office to book a tour with a local guide in English or in French. A lovely woman named Chantal showed us around and we learned way more about La Rochelle with her insight than we would have alone! 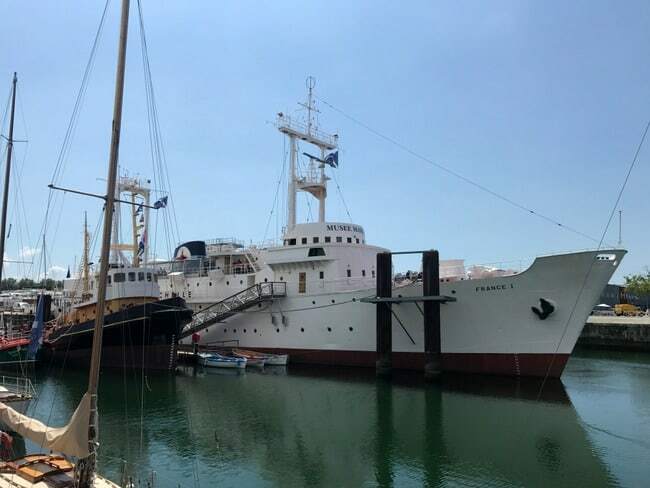 If your French is up to speed and you’re interested in maritime history and curious about what a seaman’s life was like, spend a couple of hours at the Maritime Museum. There are several ships and exhibits you can view, but our favorite part was boarding the France 1, a retired meteorological ship. Constructed in 1958 and 76 meters in length, the France 1 frigate gives you a firsthand look at how seaman, meteorologists, and scientists lived, and you can visit all parts of the ship including the engine room, kitchen, and cabins. You can also board 2 trawlers and a tug while at the museum. What’s the vibe like in La Rochelle? Energetic, friendly, bustling, and family oriented would be the words that first come to mind. Like many French towns, people take their time and seem to enjoy life’s little pleasures. It’s super welcoming to tourists, and in recent years, it’s become even more accessible with the construction of La Rochelle Airport. Many low-cost carriers have direct flights from various hubs in the UK and other parts of France. There are a variety of lodging options including Airbnb, but we chose to stay at the centrally located Hotel Saint-Nicolas. The 3-star hotel is a stone’s throw from Le Vieux Port and is affordable at under 100 euros/night. They have on-site parking, which is much appreciated since the narrow streets get very crowded, and free Wi-Fi. Our feet were dead after being on the go all day, so we dined at Prao Restaurant, just a 2-minute walk from our hotel. All of their food is cooked fresh with seasonal, local ingredients. The restaurant doesn’t even have a microwave or freezer (except for the ice cream) and they were happy to accommodate my food allergy. Generous portions and reasonably priced. This restaurant specializes in local seafood and was a lunchtime treat. 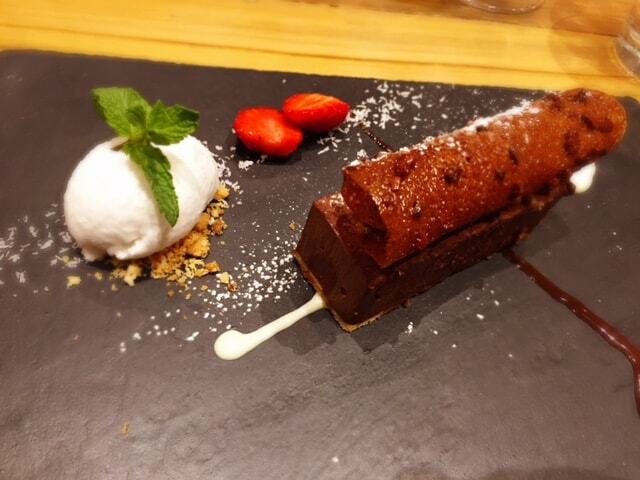 Their menus follow the seasons and use only local produce prepared fresh on site. 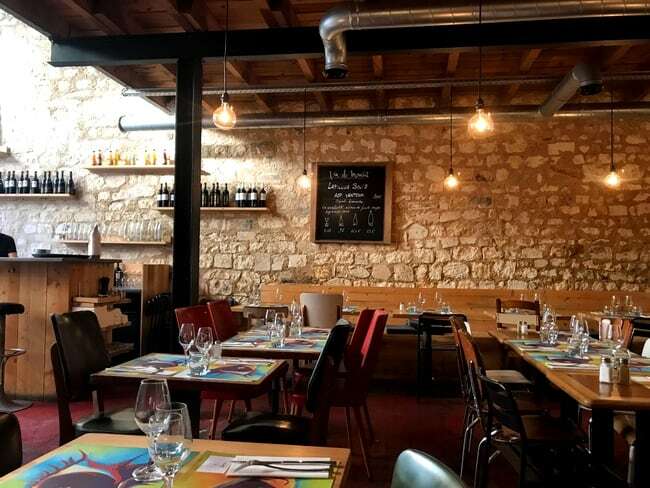 You can’t go wrong at Le Cabanon des Pêcheurs for lunch or dinner. If you’re feeling like Italian food, this is the place to go. I got pizza and Tom had homemade spaghetti and meatballs. Prompt, friendly service, and good food make L’Italien a solid dinner option. On foot! 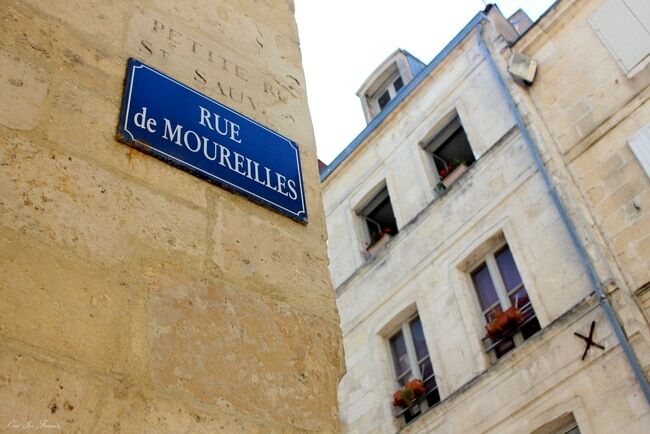 La Rochelle is highly walk-able and is the best way to get into the nooks and crannies of the narrow streets. You can certainly arrive by car, but it’s best to park somewhere and head out on your own two feet. 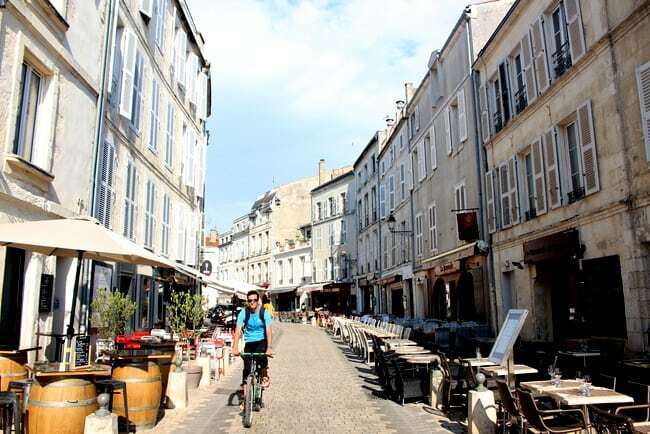 Did you know La Rochelle had its first car-free day in 1997? Is biking more your thing? 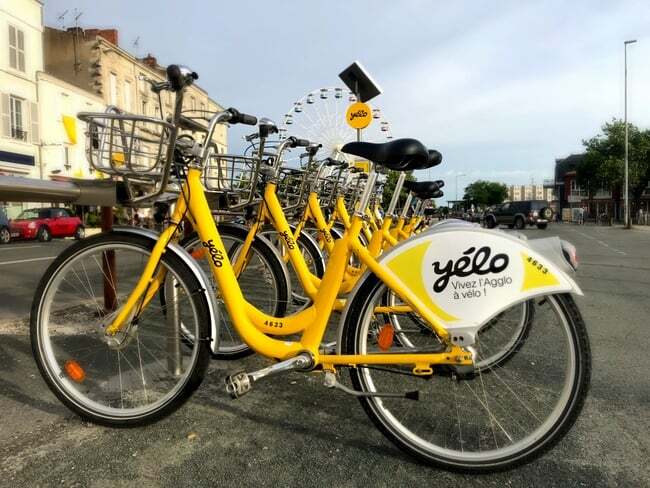 In 1976, La Rochelle launched their yellow bike service: Vélos Jaunes, which now go by the name Yélo. Rent one for the day and see the sights on 2 wheels. 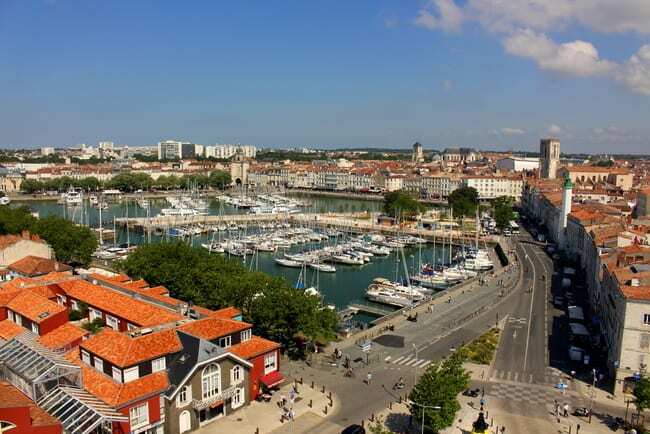 Have you visited La Rochelle? Does it seem like your kind of place? Great to see La Rochelle again! I visited three years ago…our photos are almost identical. My father, brother and nephew went on the big wheel and of course we strolled around Le Vieux Port and the town. 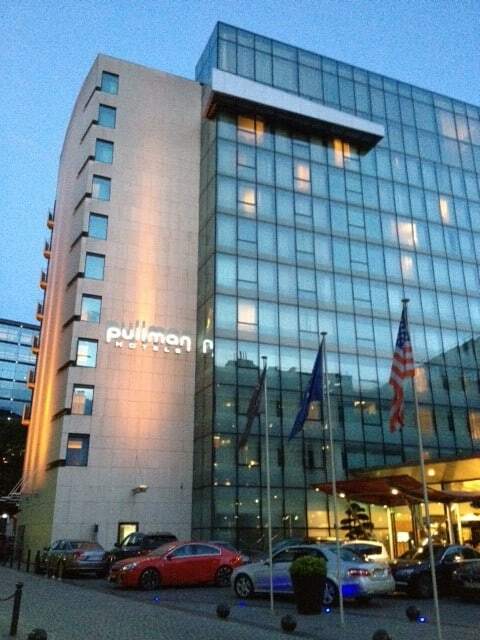 Your hotel looks like a lovely place to stay and so well situated. 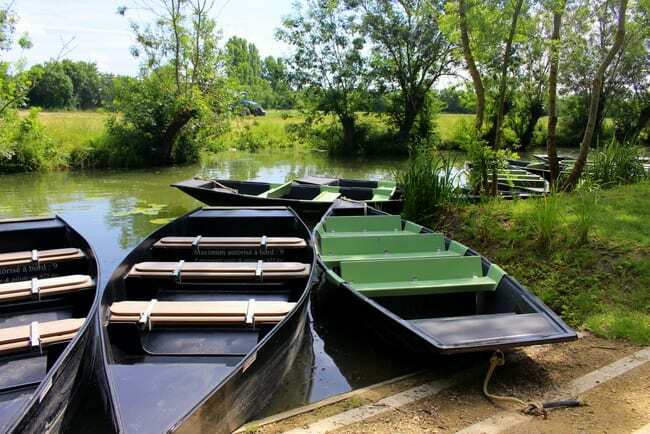 Looking forward to your posts on Ile de Ré ( a photographer’s dream) and Le Marais Poitevin. Did you visit Coulon? Hello! Nope, never been to Coulon — next time! Yes, the hotel was right in the center with nice rooms at a reasonable price. Ile de Re was great but it was pretty gray when we were there so unfortunately my pics don’t have a lot of sun. The island is amazing regardless of the weather, in my opinion! Wow is right! I never cease to be amazed by the look and feel of the various parts of France. The history, architecture, outdoor cafes, great restaurants, vineyards, marine activities, … I’ve visited in the Loire Valley and never knew about La Rochelle or that it was so close to where I was. Definitely on my short list of places to visit on next trip to France! Rent a bike, tour the area and try some of your restaurant recommendations for sure. Great post — love your colorful descriptions and photos! It’s on my list now. Love the coastal areas of France. Can you do any fishing there? Would love to try my luck. I’ve seen a lot of France, but I’ve actually never been to explore the West Coast! 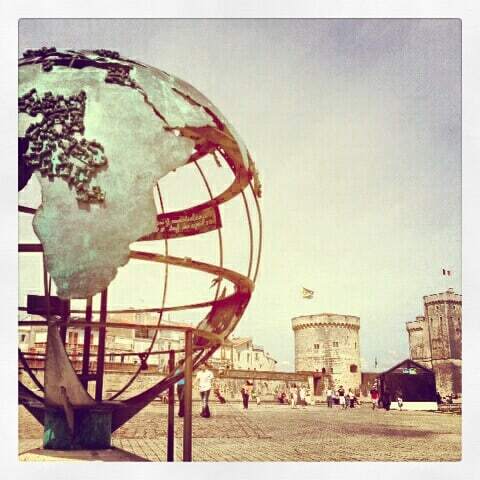 La Rochelle is on my list and you’ve just put it even higher up! Incredible photos!